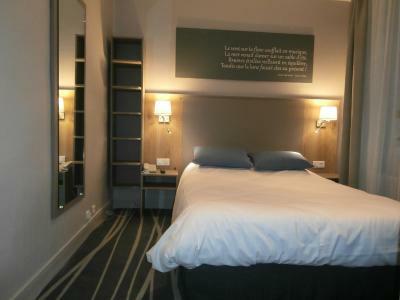 Lock in a great price for Hôtel Le Carnot – rated 8.3 by recent guests! We loved this quiet little beautifully run hotel by the sea. The room was pristine, the service kind and efficient and it was GREAT value. We would happily return! The room was comfortable and spacious. The staff were helpful and friendly. We ate in the restaurant. The food was excellent. The recommended house wine "le vin du moment" was superb and excellent value. Easy to communicate with the staff before our arrival. Very friendly staff great location and room comfortable. Good shower comfortable bed. Good food and wine in the restaurant with lovely staff. Good continental breakfast. The room was clean, with tea/coffee facilities. Manager on reception was delightfull although staff that greeted us left a lot to be desired. 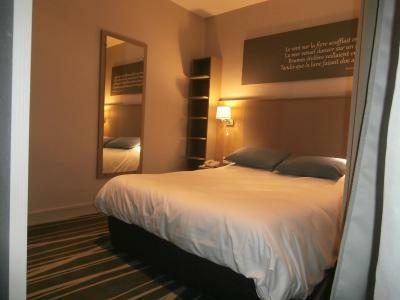 Always come back here, staff are friendly and helpful, it’s clean and the room is comfortable with lovely beds. A basic but very friendly and comfortable hotel. We were welcomed warmly. The location is a bit tricky to get to but once you find your way around the one-way system it's ok. Ample parking nearby. We at dinner in the public restaurant and it was one of the best meals we've had in France. 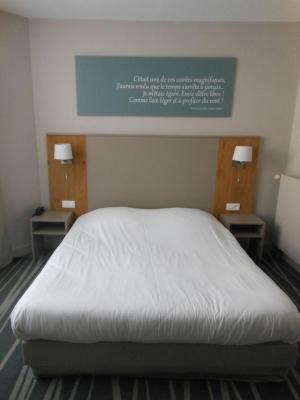 Located in Wimereux city center, Hôtel Le Carnot is 1,150 feet from the beach. 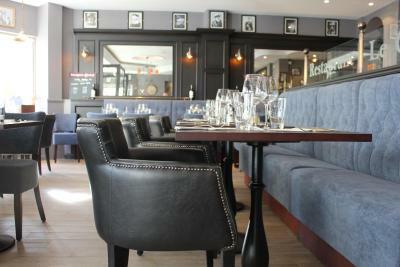 It offers free WiFi access throughout, a Parisian-style restaurant specializing in local seafood and a 24-hour reception. 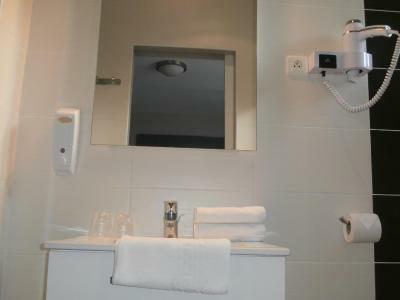 An LED TV and a telephone are standard facilities in the rooms at Hôtel Le Carnot. 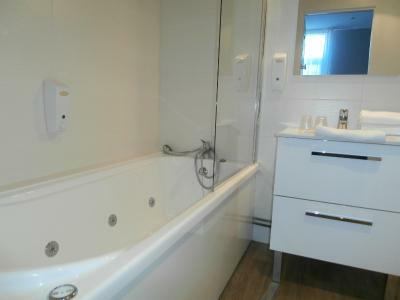 All rooms are simply decorated and have a private bathroom with a bath or shower. A buffet breakfast is served every morning in Le Carnot’s restaurant or in the comfort of guest rooms. Before enjoying one of the set menus, guests can have an aperitif at the hotel’s bar. Boulogne-sur-Mer is a 5-minute drive from the hotel. Nausicaä Aquarium is 2.5 mi away and Wimereux golf course is 1.2 mi away. Local activities include sailing, horse riding, kitesurfing and hiking in the area. Private parking in a closed garage is possible with an extra charge and upon reservation when booking. 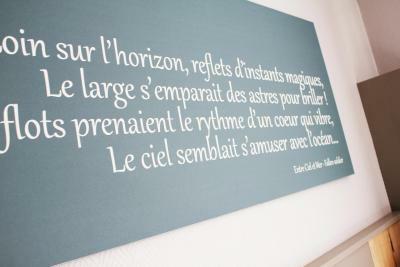 When would you like to stay at Hôtel Le Carnot? 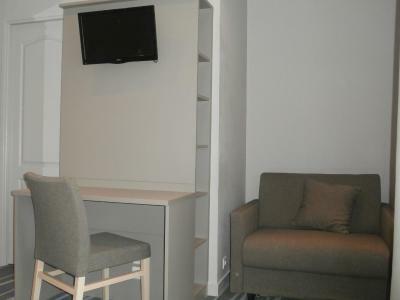 This room includes free Wi-Fi, a TV and a private bathroom. 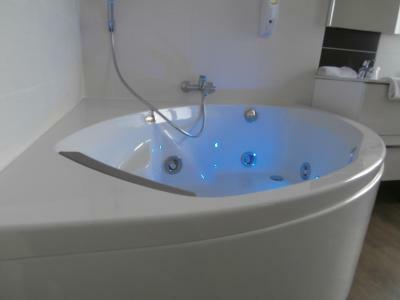 This room offers a spa bath in the private bathroom, free Wi-Fi and a TV. 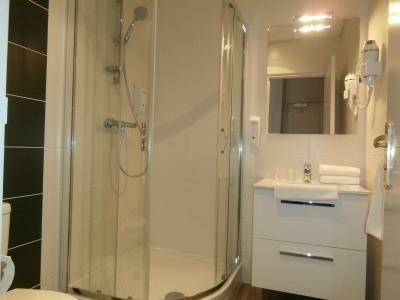 This spacious room has an private bathroom with a shower. This family room has 2 separate sleeping areas and a bathroom with bathtub. This room with private bathroom features a flat-screen TV and free Wi-Fi. This room is equipped with a bath and a flat-screen TV. 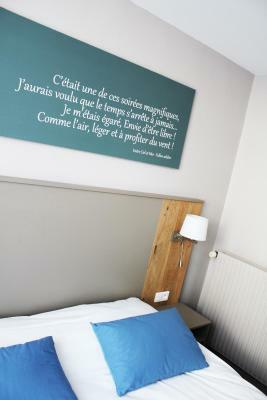 Please note that if you would prefer 3 single beds, there is an extra charge of EUR 5. 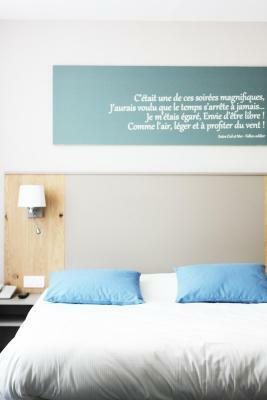 House Rules Hôtel Le Carnot takes special requests – add in the next step! Hôtel Le Carnot accepts these cards and reserves the right to temporarily hold an amount prior to arrival. Please note that late check-out is possible with an extra cost upon request and according to availability. Please note that pets under 10 kg can be accommodated at the property. They cannot be left alone in the room. Please note that the hotel's restaurant is open all day on Saturdays and Sundays and all day every day during July and August. do not have breakfast . last stay saw food put out night before . not good ! No English speaking TV Channel available. The restaurant of the hotel was cosy but the food very average. We expected better. No milk or replacement tea in the room, but that's all. Breakfast was basic but no hot food, no facility for cooking eggs, there were 4 hangers inside a cupboard 300mm wide this was all there was for hanging clothes. Restaurant food disappointing although the waiting staff and general atmosphere is very good. The restaurant; reduced menu ( maybe not a bad thing ), shell in the oysters, cold toast - obviously change of chef. I should have realised there was a problem when the place was not packed with French diners!